Harvest Time Partners, Inc., an industry leading personal and professional development company, continues to create relevant and practical tools to support and encourage individuals, families, and organizations to reach their full potential. One specific initiative, Character Creates Opportunity®, is a portfolio of resources designed to support the character development of children, adolescents, and adults. Abundant Harvest® and Face to Face™ are a series of conversation games under the Character Creates Opportunity® initiative. Abundant Harvest® for Kids, Abundant Harvest® for Teens & Adults, Face to Face™ Kids Edition and Face to Face™ Teen Edition are all recent winners of The National Parenting Center’s “Seal of Approval.” The games are designed to open the door to more effective communication, encourage decision making based on principles such as honesty, loyalty, and commitment with the intent of reinforcing the Law of the Harvest, simply “you reap what you sow.” The games help to foster effective conversation around real world issues and help to develop the critical life skill of face to face communication in a world that has gone digital. 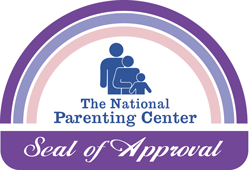 Created in 1990, The National Parenting Center’s Seal of Approval program identifies the finest products and services being marketed to the parent/child audience. This award signifies to other parents that their peers have acknowledged a product’s quality and desirability based on a wide variety of determining factors. It is the sole intention of The National Parenting Center to advise, support and guide parents with sound, responsible advice. Harvest Time Partners continues to market Abundant Harvest® and Face to Face™ on major ecommerce sites such as Amazon.com, Walmart.com, Newegg.com, and others. In addition, a growing number of select specialty retailers around the United States are beginning to carry the Abundant Harvest® and Face to Face™ line of conversation games. For more information or to discuss additional products and services from Harvest Time Partners, Inc., please visit the company website at https://www.harvesttimepartners.com, email David at david [at] harvesttimepartners.com, or call 877-786-4278.